Why are you here . . . . Your doctor recently told you that you have diabetes or pre-diabetes? 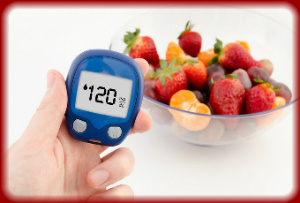 You don’t know what to eat or not to eat to control blood sugars? You are afraid of the damage diabetes can do to your heart, eyes, kidneys, etc.? You DON’T want to have to take pills or insulin for the diabetes? You lack energy, concentration and you don’t sleep well after being diagnosed with diabetes? You hate how much weight you have gained and how it makes you feel? What if you could . . . .
Get your blood sugars closer to normal? Reduce the need for diabetes medication? Learn simple steps anyone can do to control their diabetes? Clear up the confusion on what to eat with diabetes? Reverse your diabetes all together? Why do I need diabetes education? During counseling, you will be introduced to different strategies to meet your individual needs. Along with your referring physician, through close supervision, NADEC can help you develop a treatment plan to ensure your blood sugar goals are achieved. Since diet is considered the cornerstone of diabetes management, the control of your blood sugar is achieved with a meal plan that caters to your individual food preferences, lifestyle and medication schedule coupled with exercise. Eating properly and being more physically active plays a major role in keeping blood sugar levels under control, thereby helping to prevent most of the serious complications that affect your body the longer you have diabetes. Research shows profound benefits from real changes you make in your life in a time frame as short as 6-12 weeks. Our comprehensive Diabetes Management Program teaches you how to better manage your glucose values in all types of eating and exercise situations. Whether you have been recently diagnosed or have had diabetes for a while, the more educated you are on effective self care behaviors, the better chance you’ll have to live a healthy life despite the diabetes. Improved total cholesterol, lowered triglycerides and LDL levels. If you or a loved one has been diagnosed with diabetes, you can be one of the thousands of people we have helped live a healthier life, resulting in better diabetes control, and in many cases reversing their diabetes diagnosis. What is a Certified Diabetes Educator (C.D.E.)? A Certified Diabetes Educator® (CDE®) is a health professional that possesses comprehensive knowledge of and experience in diabetes management, pre-diabetes, and diabetes prevention. A CDE® educates and supports people affected by diabetes to understand and manage their condition. A CDE® promotes self-management to achieve individualized behavioral and treatment goals that optimize health outcomes. CDEs can walk you through the basics of diabetes self-management from start to finish. 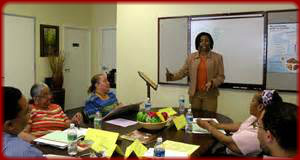 Individuals are scheduled for one-on-one counseling with the registered dietitian and/or certified diabetes educator. During these visits it is a time for the educator to address personal issues which were not covered during group education. Our patients have great outcomes due mainly to the fact that we meet each individual where they are and develop a plan that fits their lifestyle and food preferences. Fees are covered by most insurance. A referral from your primary care physician may be needed for some insurance plans. This program is designed for individuals in all stages of diabetes. Whether you have been coping with diabetes for years or you’re newly diagnosed, this program will give you a greater understanding of the disease and how to control it through diet, exercise and improved self-management skills. The diabetes program follows the guidelines recommended by the American Diabetes Association in accordance with the National Standards for Diabetes Self-Management Education. The class consists of two group classes, followed by two individual sessions. Classes are conducted in the evening to accommodate most schedules. Several times during the year we offer weekend classes. Fees are covered by most insurance, but a referral from your primary care physician may be needed for some insurance plans. Gestational diabetes is a temporary form of diabetes that can develop during pregnancy, but you’re in good hands at The Nutrition and Diabetes Education Center. Our team has developed a program where you can learn about what you can do to control it. Our team consists of Registered Dietitians-Nutritionist along with Certified Diabetes Educators. We have the resources and the expertise to help you have the best outcome when it comes to controlling Gestational Diabetes.